Students and teachers speak out on what they want for the future of moblity in this survey from Project Tomorrow. 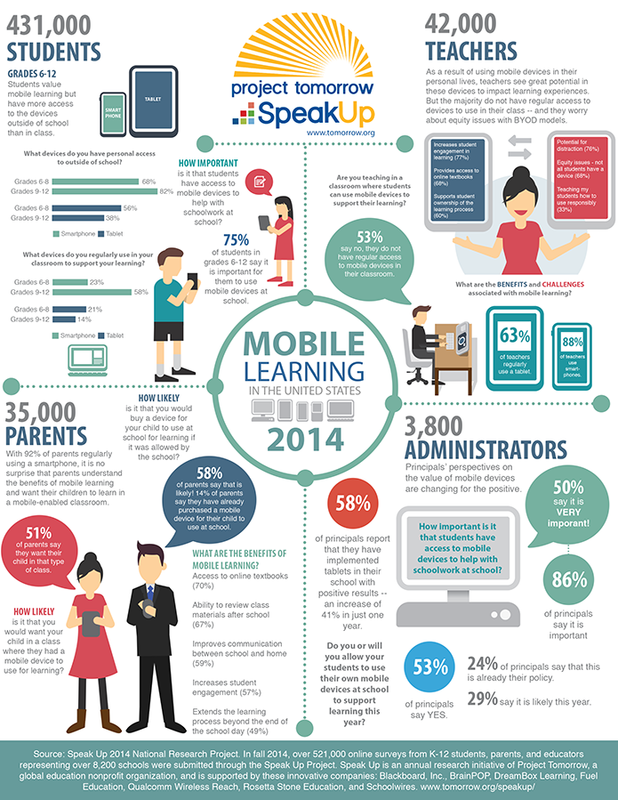 Mobile devices are more prevalent in K–12 classrooms than ever. A new survey on mobile learning from Project Tomorrow shows that today's schools are relying increasingly on students having experience with devices like smartphones and tablets to engage in modern curriculum. Project Tomorrow's 12th annual Speak Up Research Project surveyed teachers and students at more than 8,000 schools and 2,600 school districts to gain insight on how these devices are affecting education. The results were adapted into a report and an infographic. Nearly 75 percent of surveyed students say that "every student should be able to use a mobile device during the school day for learning."